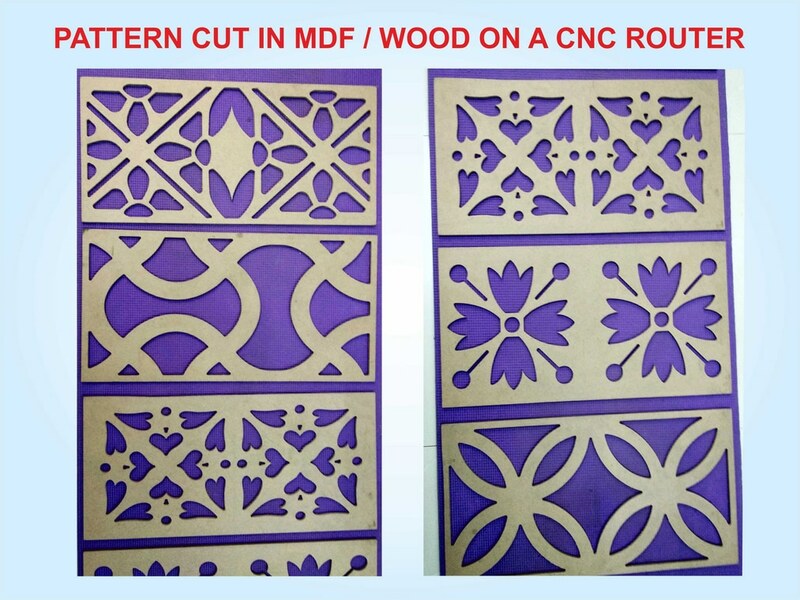 Create laser cut stencils for painting your own designs, logos, patterns, etc. 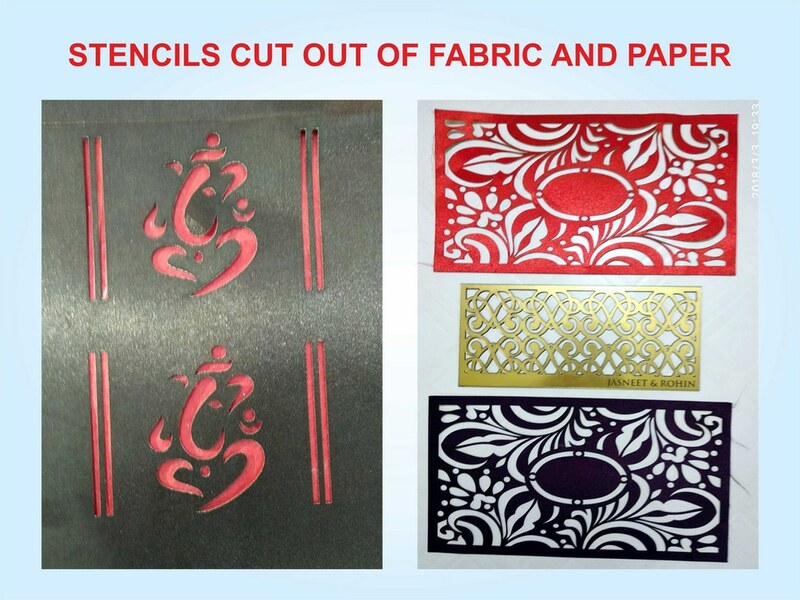 Orchid Digitals, Pune has the ability to deliver custom cut stencils of your particular shapes and patterns. Hobby shops can only give you generic stencil designs. 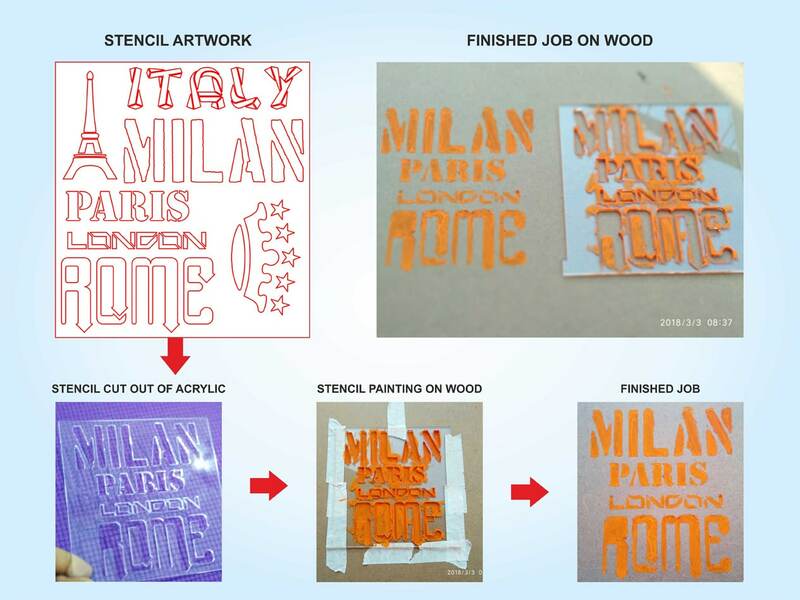 But what do you do if you need to create laser cut stencils for painting logos, designs, personalized shapes or patterns etc.? At Orchid we have two laser engravers which can cut a variety of materials to a very fine accuracy. And one of their unique applications is the ability to create of stencils as per the clients’ design and specifications. 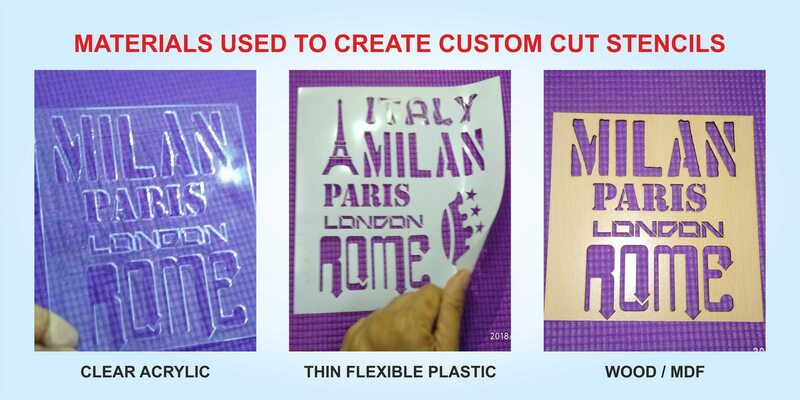 So mail us mail us the file of the cutting outline, make a choice of the material from which the stencil needs to be cut and your custom laser cut stencils for painting will be ready in no time. we usually cut stencils out of thin but rigid sheets of plastic, MDF or acrylic, depending upon the customers’ specifications. Some people even order paper stencils if the project has a limited budget. The very idea behind creating a stencil is that it can be used over and over again. So, the harder and stronger the material you use, the longer the life of the stencil. Stencils cut out of .5 mm thick PVC sheet. So for example, if you get a 3 mm thick sheet of wood and it takes the machine 5 minutes to cut the design, the cost is 5 minutes X Rs.10/- per minute = Rs.50/- Use this material for short run projects. Material is liable to tear over longer periods or repeated use This material is pretty thick and strong. Hence, will last for longer periods. Wikipedia defines a stencil as a design or pattern cut out of any thin and rigid material which can be used for repeatedly reproducing the said pattern. This cut out acts as an intermediate object between the paint brush and the surface which needs to be painted upon. The paint flows into the cut out areas and on to the surface of the object. Stencils facilitate the quick and accurate reproduction of complex designs and patterns. Also, they can be used by people without any expert drawing skills. You might be familiar with the readily available rangoli and wall art stencils in craft and hobby shops. Spray on tattooists also use stencils to quickly create art on the patrons’ skin. So by painting on top of these stencils, you can easily re-create beautiful and complex designs on walls, fabric, wood, furniture etc. Industrial applications for stencils include marking packing crates and machine parts. 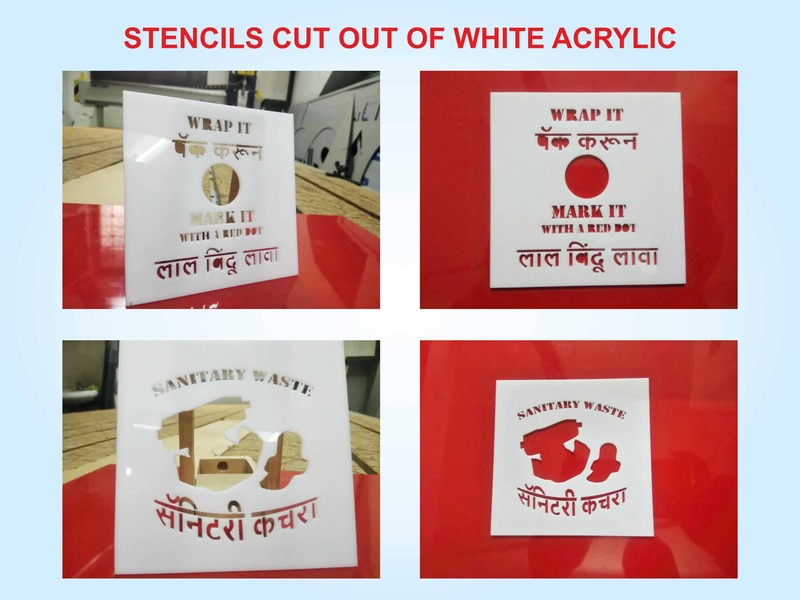 A variety of signboards are also created with the help of stenciling. Use painters tape or stencil adhesive spray to hold the stencil in place. A stencil which moves mid-spray results in a messy job. These tapes fix the stencil in place and also allow for its easy re-positioning. Use stencil art brushes instead of simply spraying on the paint. Here you can control the flow of the liquid paint and reduce paint bleed under the edges of the stencil.